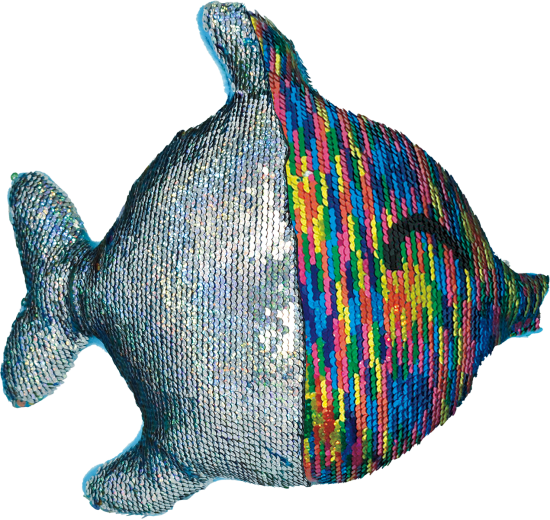 Ocean lovers will adore our rainbow fish reversible sequin pillow. The gorgeous irridecent silver design flips to rainbow-colored with just a swipe of your hand. A fun gift idea, it makes a unique addition to any room.